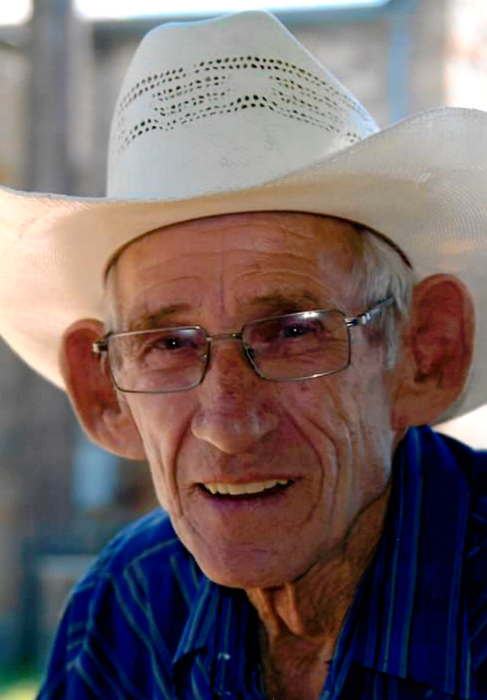 Decatur ~ Billy Joe Hotz, 83, a retired maintenance man, went to be with our Lord Sunday, April 7, 2019, in Decatur. Graveside service is 2:00 p.m. Wednesday, April 10, 2019, at Pleasant Grove Cemetery #1. Family will receive friends 6-8 p.m. Tuesday at Hawkins Funeral Home in Decatur. Rev. Aaron Rivas will officiate. Billy was born on November 22, 1935, to Herman and Myrtle Mae (Davis) Hotz in Cuero, Texas. He was united in marriage to Nora Ellie Goode on May 25, 1960, in Decatur. Billy was a beloved husband, father, grandfather and friend. He was preceded in death by his parents; his great grandson, Mason Blaine Hendrix; his sisters, Bernice Pierce, Loyce Watson, and Dorothy Kelley; his brothers, Wyatt Lee Ferguson, and Herman Hotz, Jr.
Those left behind to cherish his memory are his wife of 58 years, Nora Ellie Hotz of Decatur; his son, Randy Joe Hotz of Decatur; his daughter, Tammy Leeann Algren and husband Richard of Newark; his grandchildren, Kyndra Rivas, Randy Joe Hotz II, Kelley Hotz, Easton Algren, and Veronica Algren; his great grandchildren, Aedyn Conn and Sophi Grace Mabee; numerous nieces, nephews, cousins, and a host of friends.